Denver metro area’s most acclaimed custom-home community, now in its Final Phase, boasts lush landscaping and exceptional amenities, including a six-acre private pool/tennis courts complex, a 45-acre nature preserve and hop-on access to the Highline Canal and metro trail systems. Ideally located – minutes from the Denver Tech Center and southeast Denver business corridors – The Preserve has sustained its top-tier status throughout its three decade evolution. Only a handful of homesites remain, varied in size to meet any lifestyle needs. For more information, visit preservegv.com or call 303-689-9700. The Keep sets a new standard for town-and-country living. 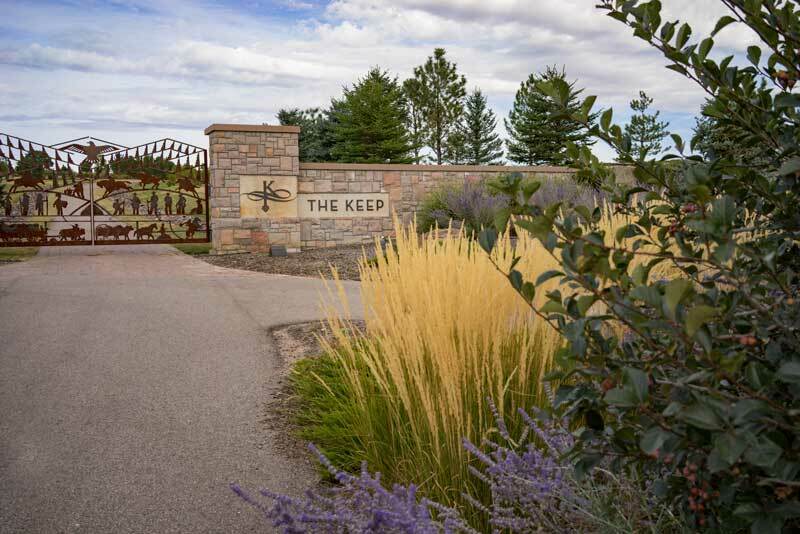 On the edge of Sedalia and just minutes from Castle Pines retail center and Castle Rock amenities and services, The Keep offers access and sanctuary. This unique community features 64 four- to 11-acre home sites amidst stunning Colorado scenery and wildlife, where residents will savor the escape and love the convenience. For more information, visit thekeepcolorado.com or call 303-663-8200. For more information, visit crossingshlc.com or call 720-539-0610. This small-town neighborhood in the heart of metro Denver is a choice home-base experience, thanks to walkability to the Lowry Town Center and Boulevard One retail where shops, restaurants and entertainment venues await (including a skating rink for kids!). 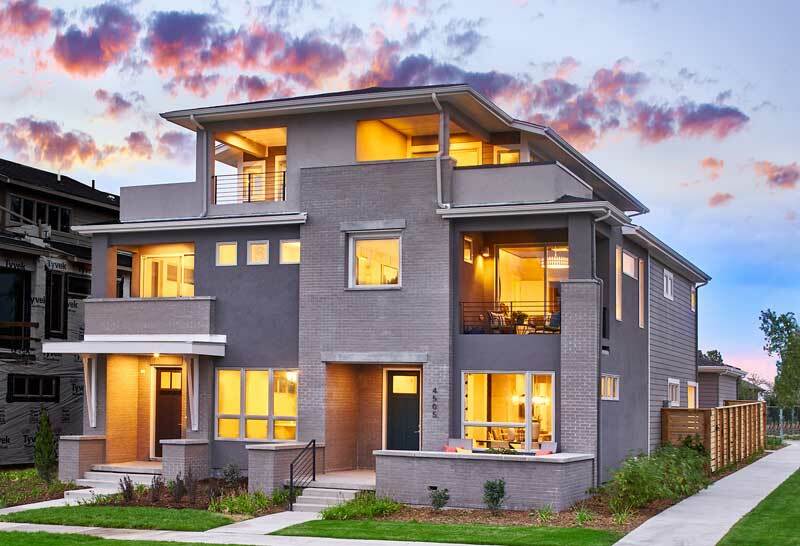 Just minutes from the Cherry Creek shopping district and downtown Denver, CityHomes features three distinct series of stunning low-maintenance rowhomes to meet the expectations of sophisticated buyers: modern architecture, walkability and quality. For more information, visit kuhatboulevardone.com or call 303-300-8789. "Near Tennyson Street" says it all about 5390', KUH's latest new-home venture adjoining Denver's highest elevation point near the thriving Berkeley neighborhood. An easy trek to downtown Denver, 5390's greatest allure is arguably its proximity to the Tennyson Street Cultural District, often deemed the metro area's ultimate cultural hotspot with its abundance of art galleries, local music venues and trendy restaurants. Conceived to complement the stunning natural surroundings of the adjacent historic Willis-Case Golf Course, 5390' homes will feature single-family residences and upscale paired homes with diverse designs including mid-century modern, prairie and craftsman architecture. For more information, visit 5390bykuh.com or call 303-300-8828. 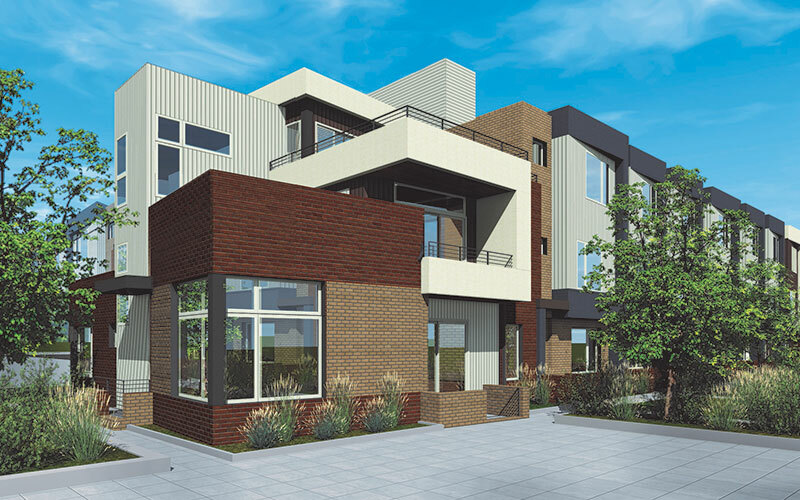 Vine, a KUH urban in-fill community in Denver's historic Cheesman Park neighborhood, is destined to be one of the area's most sought-after urban addresses. Slated for opening in the third quarter of 2016, 14 rowhomes with two-car garages will epitomize urban living at its finest. 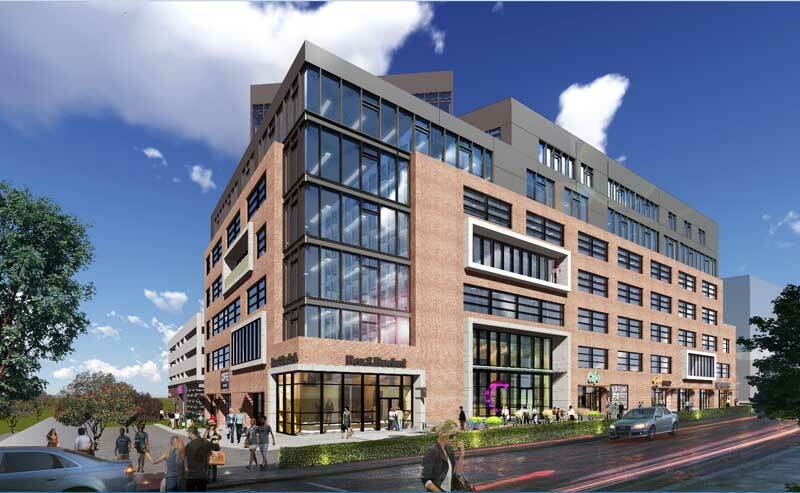 Vine promises to be a superb example of smart growth, merging the best of old and new on Denver's Capitol Hill in a wonderful setting to live, work and play. For more information, visit vinebykuh.com or call 303-300-8789 to schedule a tour. This limited-edition Arts District neighborhood will feature 58 contemporary, four-story townhomes with a choice of three open floorplans. All include attached garages for security and privacy, plus patios and decks to catch the Colorado sunshine. 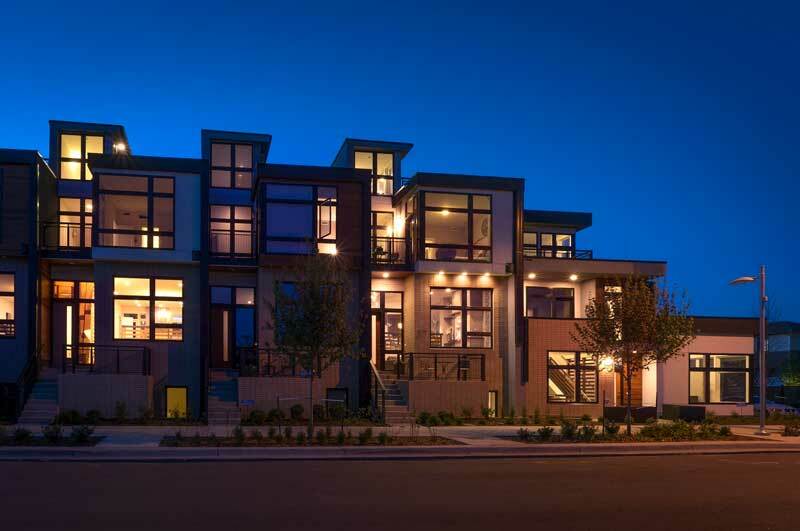 These distinctive residences will also reflect Koelbel Urban Homes’ commitment to sustainability by incorporating energy-saving features, minimizing waste and promoting healthy, economical living. 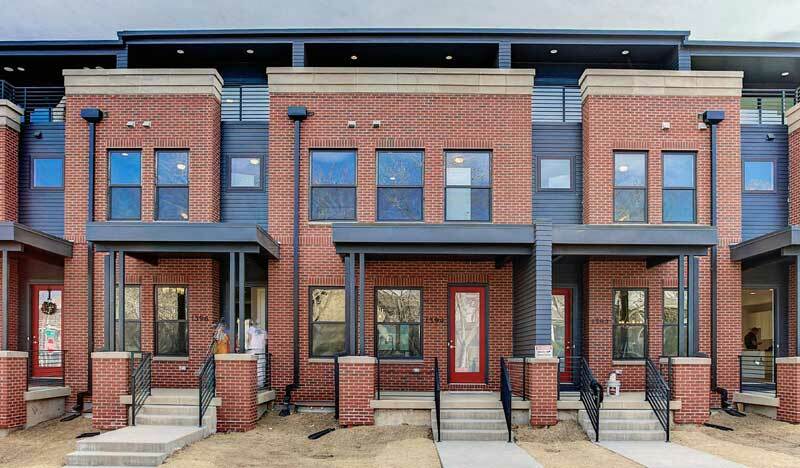 Designed by Neo Studio Architects and constructed by Koelbel Urban Homes, the 27 townhomes within SloansEdge all reflect a distinctively modern attitude, while giving a nod to the neighborhood’s roots. 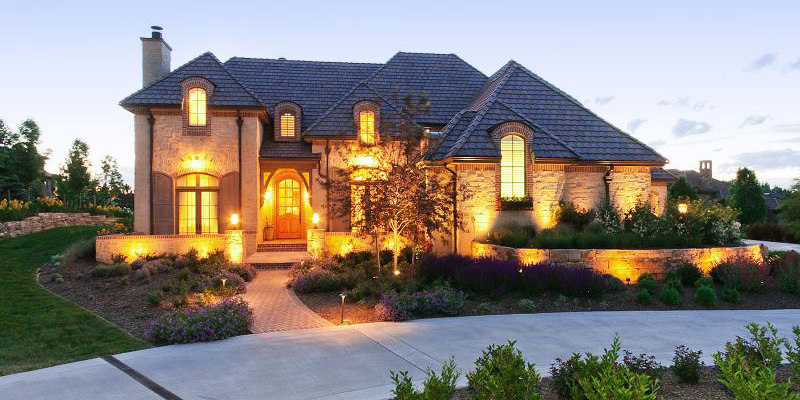 Exteriors blend forward-thinking corrugated metal and stucco with traditional stone and brick. Inside, you’ll find plenty of natural light, plus open floor plans and private rooftop terraces with views of the mountains and city. Built to the highest levels of energy efficiency, SloansEdge townhomes allows lock-and-go living whenever a night out or vacation calls. 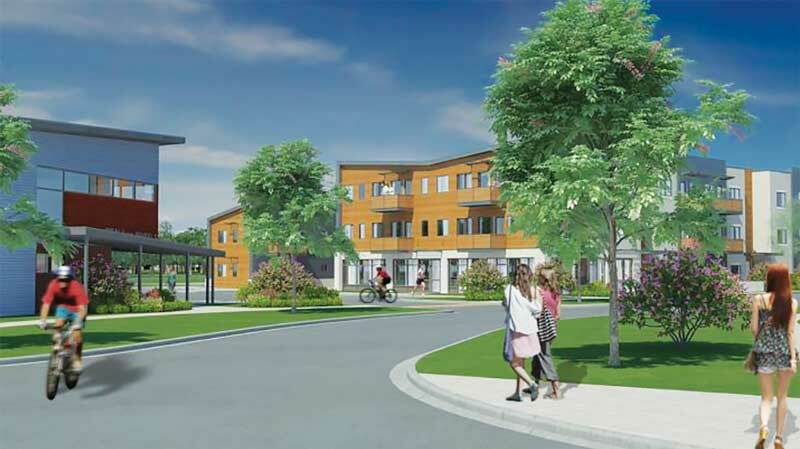 In partnership with Allison Management, Koelbel will develop 105 affordable-housing units in northeast Boulder. The project includes 20 townhome-type units geared towards families and will be completed in late 2019. 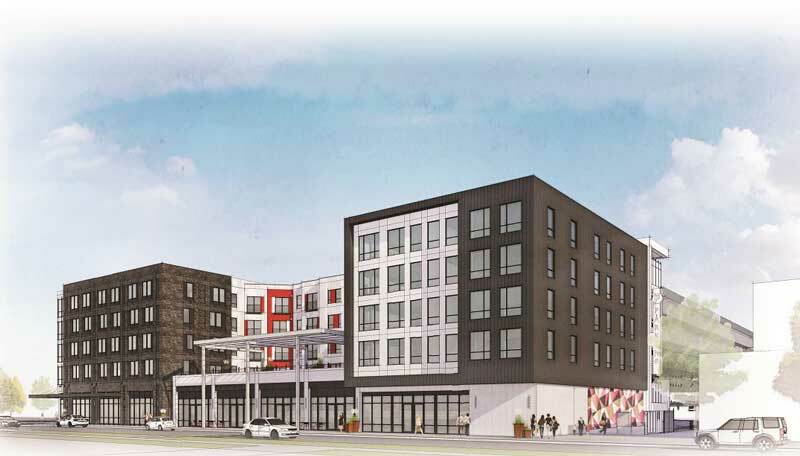 This affordable-housing project in downtown Westminster will consist of 118 apartments, plus 22,000 square feet of ground-floor retail space. In partnership with Mile High Development and Longs Peak Advisors, and supported by the City of Westminster, the project wraps around a recently completed parking structure. 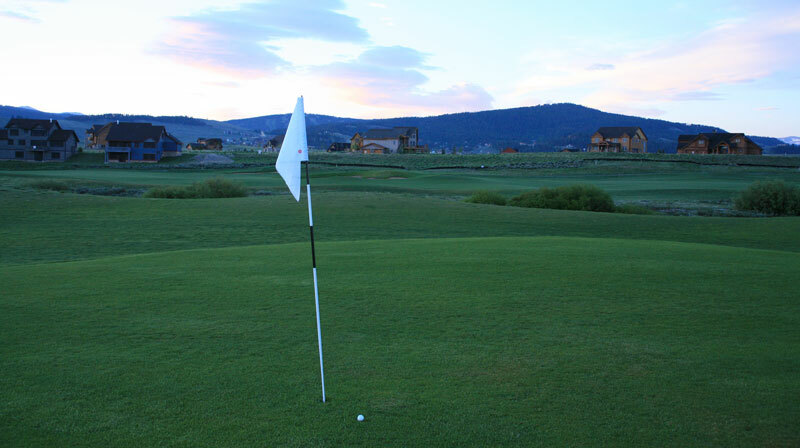 This master-planned mountain resort community is trailside living at its best. Minutes fromWinter Park ski village, Denver's closest four-season resort, Grand Lake and Rocky Mountain National Park, Rendezvous Colorado offers cabins, townhomes and custom homes with easy access to miles of community trails, multiple gathering areas, a private stocked pond, a community fire pit and a private ski shuttle. 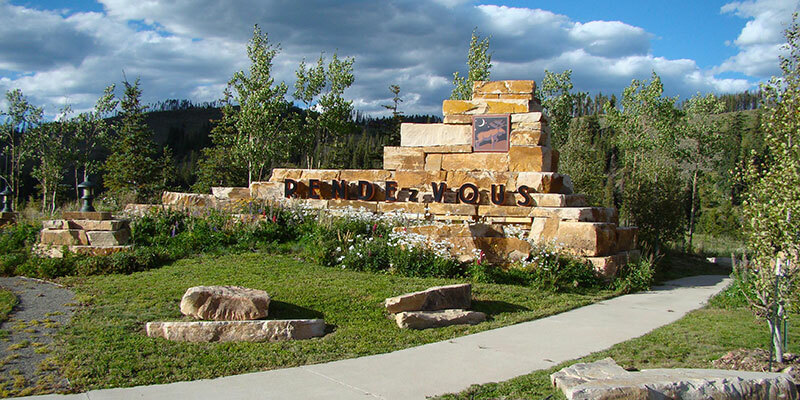 Club Rendezvous at the base of Winter Park Resort – for Rendezvous residents only – offers private ski storage and a relaxing environment for breaks from skiing and other mountain adventures. For more information, visit rendezvouscolorado.com or call 970-726-5177. 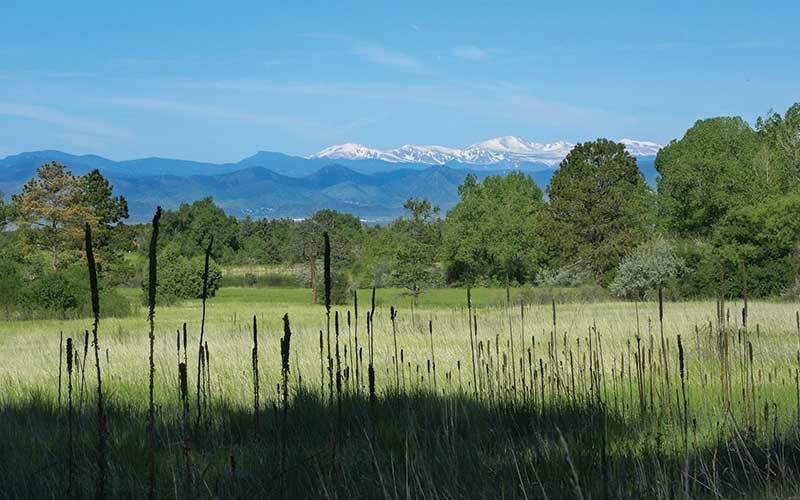 Koelbel and Company purchased this beautiful second-home golf community that boasts the majestic peaks of the Continental Divide as a backdrop. Koelbel is applying its experience and innovation to reenergize the property, offering cabins and custom-home sites surrounding a 7,144-yard masterpiece golf course crafted by 13-time champion Craig Stadler. Grand Elk is minutes from the resort amenities of Winter Park, the water sports of Lake Granby and the shopping, dining and cultural experiences of historic Grand Lake. For more information, visit koelbelatgrandelk.com or call 970-726-5177. Koelbel partnered with entrepreneur Mike Biselli and land owner Larry Burgess to create Catalyst, a unique co-working office in RiNo, Denver’s booming River North District. Phase One of the project, a stunning seven-story, 180,000 square-foot edifice, opened in mid-2018, achieved 100 percent occupancy in tenant offices in less than six months. The next-generation setting melds traditional office requirements with the best of contemporary trends. Work spaces and amenities throughout promote spontaneous interactions to accelerate imaginative business solutions. Catalyst brings together a vibrant mix of world-class companies, from start-ups to global powerhouses, including a UC Health innovation hub focused on transforming health care delivery of the future. Building amenities include a 200-person event center, a fitness center, multiple shared conference rooms and phone rooms, a large community kitchen, plus a “living room” and terrace on the 7th floor. For more information, visit catalysthealthtech.com. This 22-acre parcel is located at the northeast corner of Parker Road and Peoria Street just north of I-225. 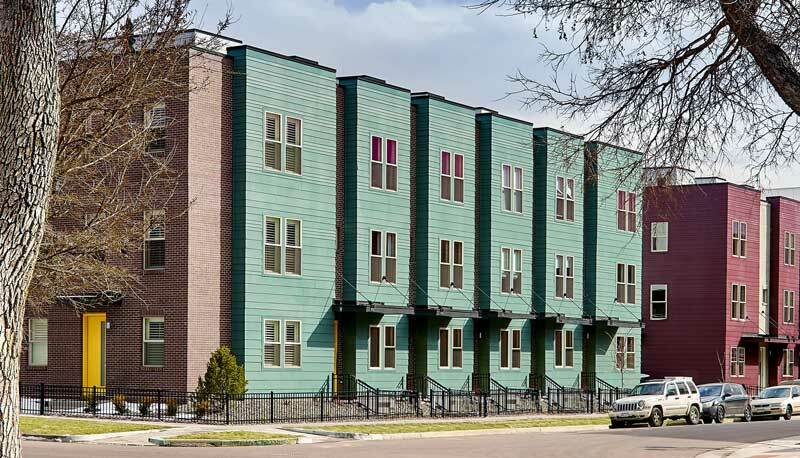 In 2015, after a competitive application process, Koelbel and Company in partnership with Mile High Development was selected by the Aurora Urban Renewal Authority to be the lead developers of this blighted parcel. The finished development will have roughly 125,000 square feet of retail space, including a new 78,000 square-foot King Soopers and a 3,500 square-foot KeyBank. The development team also expects to include some 400 residential units and up to 200,000 square feet of office space in the finished complex. Phase One construction began in 2018.